There is no doubting the positive effects that search engine optimization can have on your web presence. It can attract vastly increased numbers of the right kind of visitor to your website and improve your online reputation and exposure. SEO certainly can work for this purpose – if performed correctly. At RaaS we believe in ethical search engine optimization, yet also transparency and creativity when undertaking any client website optimization project. 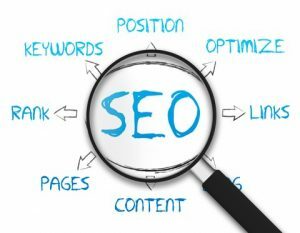 Our highly-skilled, professional and innovative search engine optimization team go to great lengths to ensure you get the website optimization results you deserve. Your website optimization campaign is incredibly important. Your website is the online representation of your achievements – but we also understand that you want it to fulfil all of your future goals and ambitions. With the incredible number of sites out there, it can be difficult to make yours stand out from the crowd. Website optimization can be that difference. Search engine optimization benefits websites by using a vast number of website optimization techniques to streamline them, making sites easier to understand and more noticeable in the eyes of the major search engines, attracting specific user bases and categorizing your products and services more effectively to get them higher search result listings.